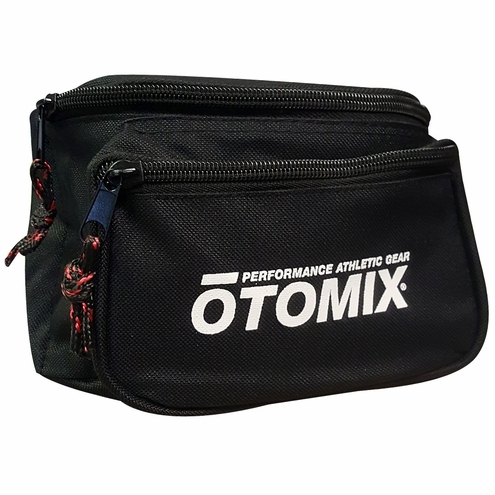 Otomix Fanny Pack Nylon pack with zippers and adjustable belt!! Otomix nylon pack is a comfortable style with an adjustable waistband for a variety of sizes. This includes a strong snap for a secure fit. The multiple compartments with durable zippers will keep your items organized and safe, while the easy pull zipper tags are perfect for simple opening and closing. These packs have been an Otomix favorite for many years. They work great in the gym or on the street to keep your valuables safe and secure.